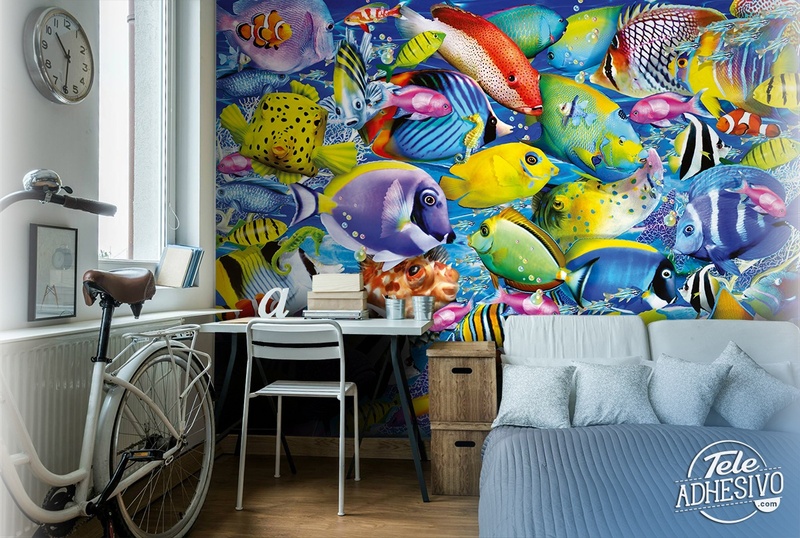 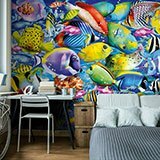 Wall mural Colored fish collection. 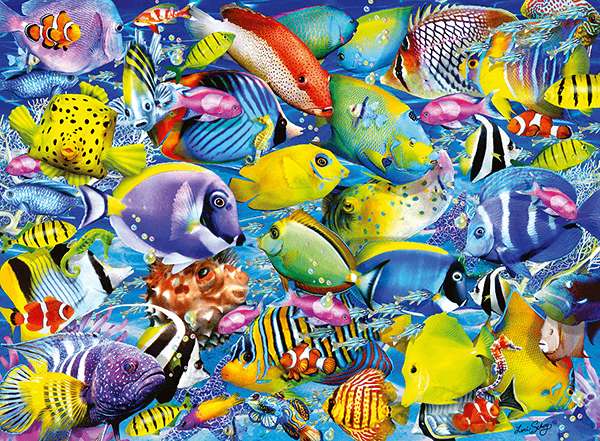 Colorful image of a great variety of species of fish of the bottom sea. 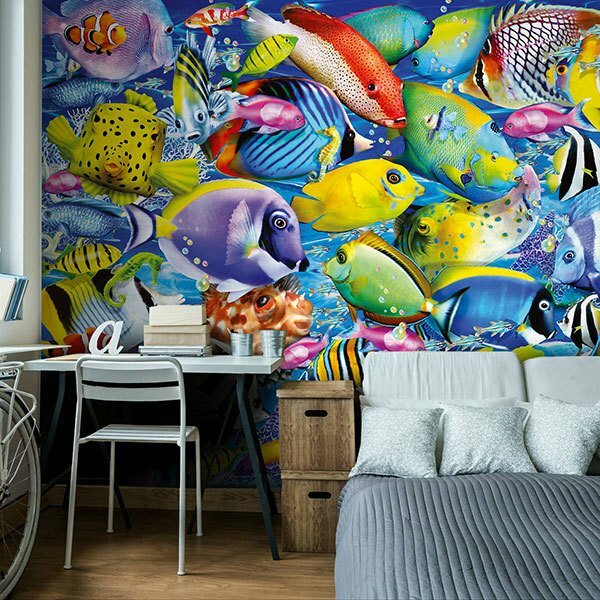 Beautiful illustration for nature lovers as well as to decorate a bathroom or children's room, because animals of so many different colors love them.